Trilite by [OPTI] manufactures a range of fully customisable OPTI Control Stations suitable for DJS, sound engineers and entertainment professionals. Its unique design can be manufactured to your exact specification and this includes functionality, features and colour. The CS150 and CS120 robust and lightweight frame slots together within an incredible 2 minutes by one person and each control station weighs less than 40Kgs in total. 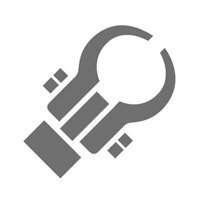 The CS150 and CS120 are supplied with a generously sized main and top shelf to support a laptop/controller or similar equipment. The aluminium plate also has an anti-resistance foam backing. 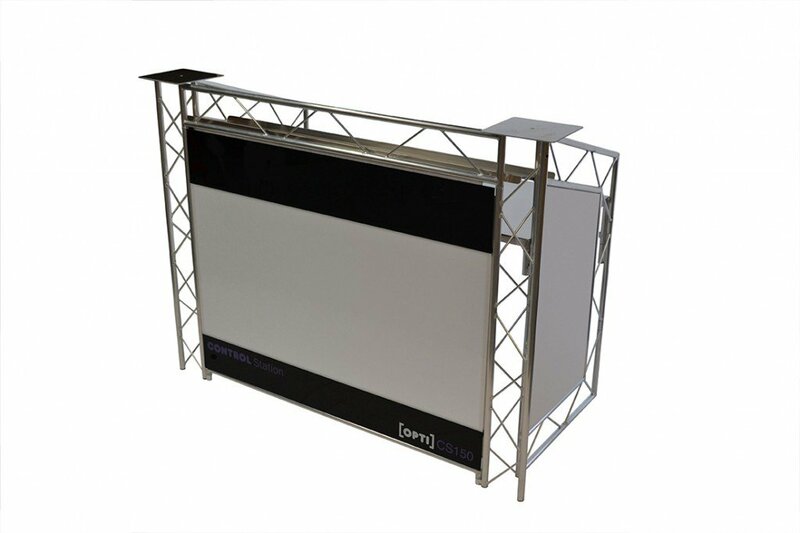 A customised, removable top shelf can also be manufactured to your exact requirements (customised parts are available at an additional cost). The semi-opaque Perspex panels are perfect for illuminating or showcasing your logo or advertising message. 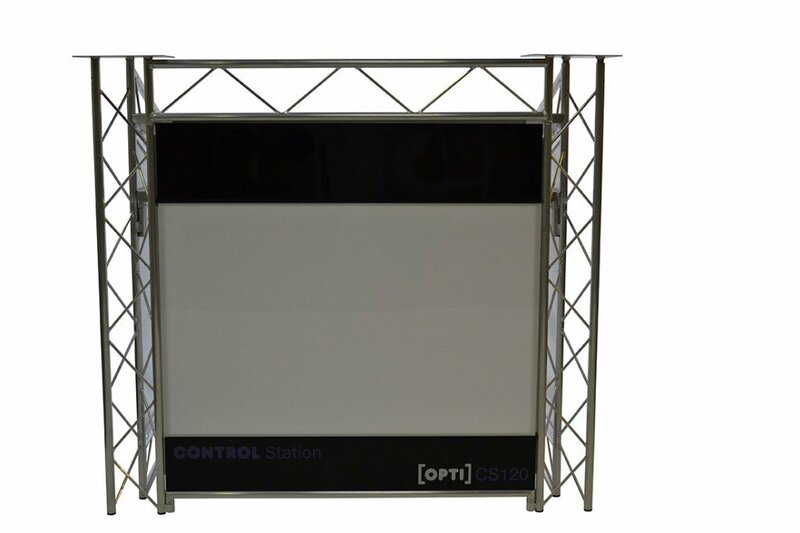 Control Stations are available from a range of [OPTI] Preferred Resellers and are available in a standard natural aluminium finish, powder coated white or black or, available to special order of any colour of your choice. An optional hard wearing and reinforced carry bag set (two bags) is also available, making the transportation and storage even easier. 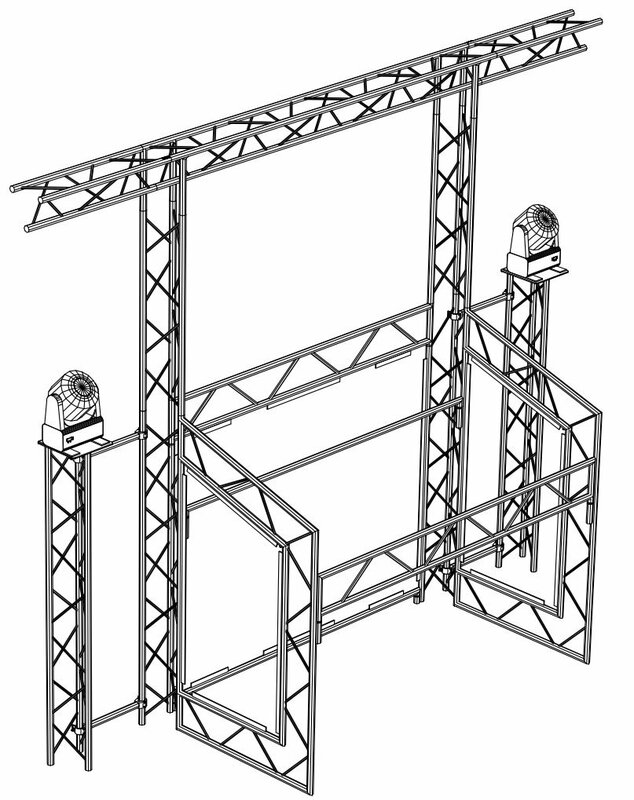 Trilite is solidly built and easy to transport, allowing us to move between events easily. Trilite really helps us to create a smart modern image for our clients and we regularly receive compliments on how great it looks.